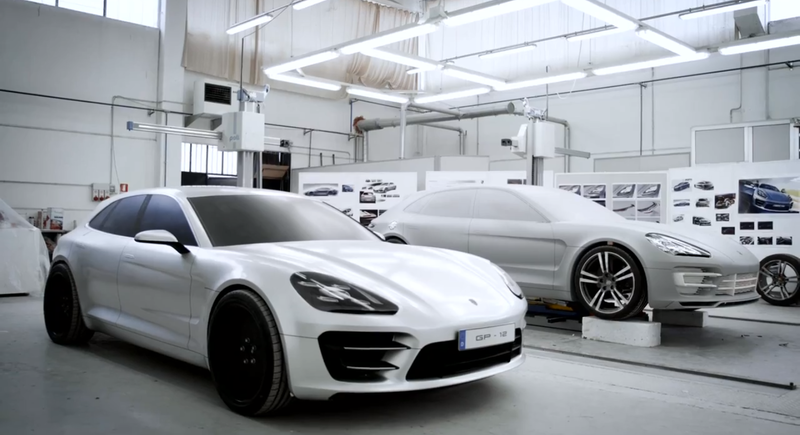 From a clay model to the world premiere at the 2012 Paris Motor Show: Accompany designers Michael Mauer and Mitja Borkert to our R&D center in Weissach and watch exclusive footage of the development process of the Porsche Panamera Sport Turismo in this video. Porsche’s Panamera Sport Turismo was one of the best concept cars of 2012. So, the German car designer continues building the buzz by offering a behind the scenes look at the design process for its first-ever station wagon. In the clip, designers Michael Mauer and Mitja Borkert give an in-depth look into what it takes to bring the car froma clay model to its world premiere at the Paris Motor Show 2012. More than just a station wagon version of the Porsche Panamera, the Sport Turismo has a totally distinctive look nose to tail. Some of the key elements the designers touch on in the video include the Porsche-signature raised front fenders, the wide rear shoulders, the front wing inspired by the Porsche 918 Spyder, and even some of the car’s unique touches, including the headlights and the three-dimensional “Porsche” lettering across the liftgate made from glass. One of the more exciting aspects of the concept – which is sadly just glossed over in the video – is the rear liftgate spoiler that features “variable aerodynamics” that sounds like it acts similar to the retractable spoiler on the current Panamera. We still don’t know if the Porsche Panamera Sport Turismo will make it into production, but if you want to see what went into creating this exciting concept car and see the different build phases designers went through to create the Paris show car, check out the video by scrolling below.